Vibrant scenery, captivating culture, and incredible biodiversity will enthrall your senses on your Boliva tours. 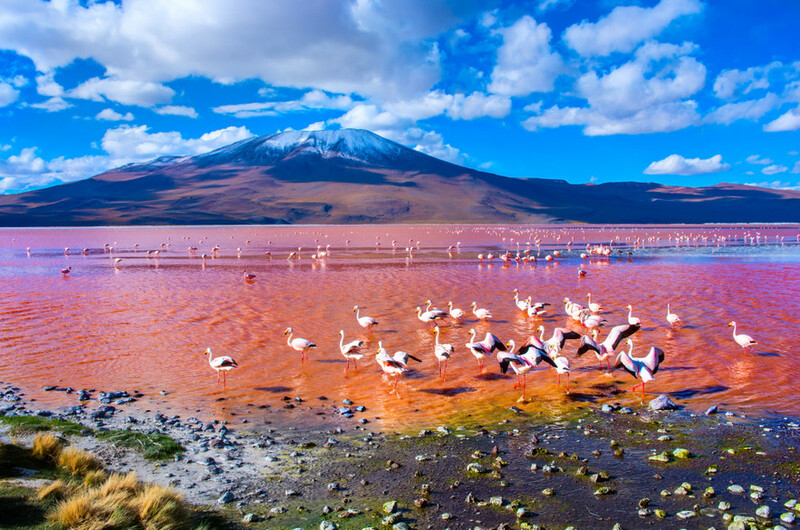 The rainforests in the Amazon, the Salar de Uyuni in the Atacama Desert, the mountinious cities, and colorful lagoons emcompass just some of the highlights of this travel destination. Vibrant scenery, captivating culture, and incredible biodiversity will enthrall your senses on your Boliva tours. Sucre, also known as Ciudad Blanca, is one of the nation’s two capitals, the other one being La Pez. 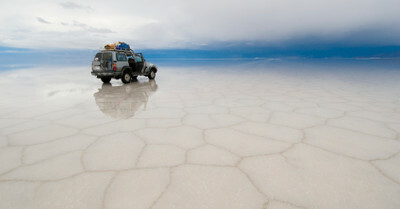 Generally, on a round trip Bolivia adventure, one of these two cities are a great place to start. However, for the purpose of altitude levels, it is recommended to start at Secure as the lower attitude will give you time to better adjust. Secure is home of the Supreme Court and is located in the southern highlands. 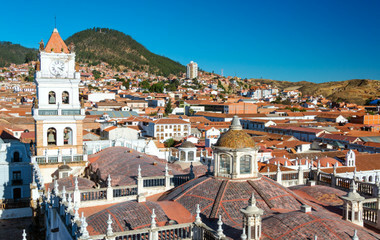 The city is most known for its colonial history and is listed on the UNESCO World Heritage site. It is also home to fossils of prehistoric dinosaur footprints of roughly 15 species. 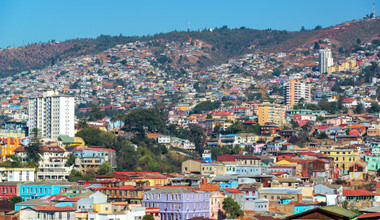 It is the chocolate capital of Bolivia, known for its excellent hand crafted chocolate that is melted down into a thick creamy hot chocolate with a shot of espresso. La Pez, the de facto capital, is set at a high altitude of 3,000 meters with a cable car connecting to the highest settlement of El Alto. At the top, you can see the cityscapes surrounded by the snow-covered mountains of Cordillera Real. The city below consists of an unconventional centuries-old market known as The Witches Market, which sells potions and odd trinkets of good luck. This reflects the Andean believes and the shamanic practices of the region. 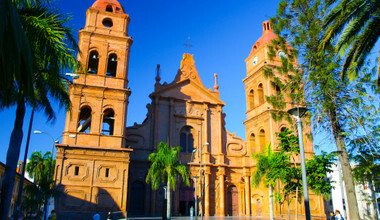 On a Bolivia travel package around La Pez, you can visit unique museums, such as the Museo de la Coca or art galleries such as National Museum of Art. 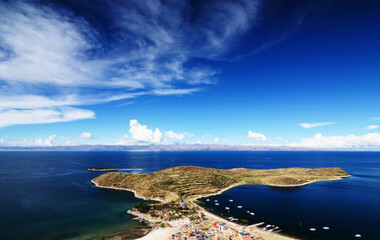 Within La Pez district, Isla De la Luna (translated the “Island of the Moon”), is situated in Lake Titicaca. 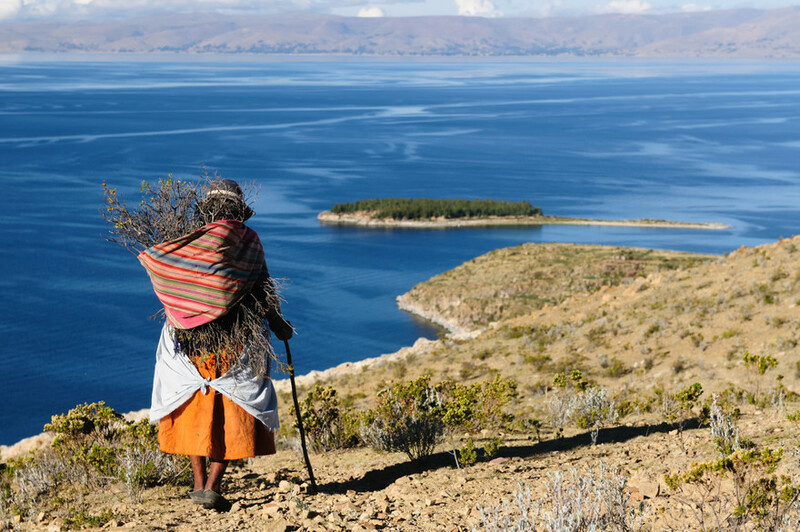 This Island is home to legends in Inca mythology where Viracocha is said to have commanded the moon to rise. Neighboring this, the bigger Island, Isla Del Sol (“Island of the Sun”), offers additional interesting roots in mythology as it was believed the sun god was born there. It is also a site to see over 80 ancient Inca ruins. You can also see small villages in which approximately 800 indigenous families are dispersed throughout the island. After your Island adventures, head up further north to the Madidi National park, located in the upper Amazon river basin. 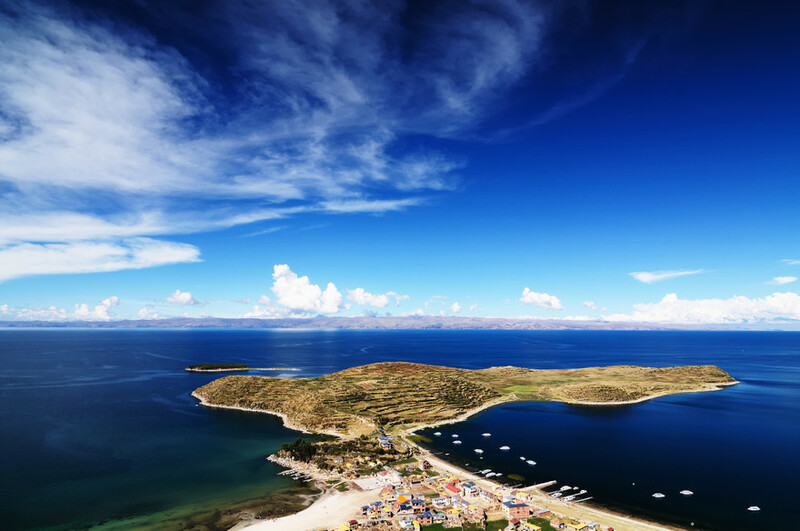 Your trip to Bolivia would not be complete without experiencing glacier-covered peaks of the Andes Mountains and a cruise along the muddy waters of Tuichi River within the tropical rainforest. It is one of the most protected places in the world with its home to a record breaking number of species and plants. The number one reason many tourists travel to Bolivia is to see the Salar de Uyuni, and it certainly lives up to its expectations. The city itself doesn’t offer much but the natural beauty is a must see. You can join a quick tour across the salt flats or a four-day jeep tour passing by two volcanos and several lagoons in the Atacama Desert. 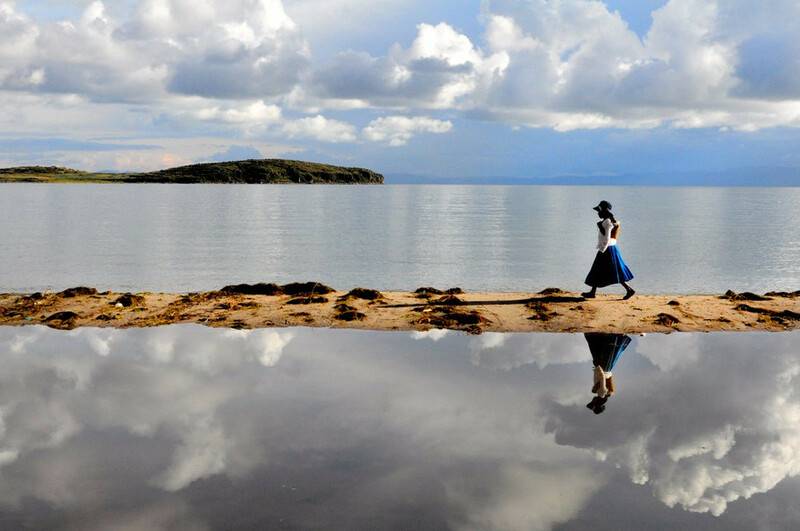 Continuing south on your Bolivia travel, Laguna Verda is a stunning salt lake with remarkable green waters. 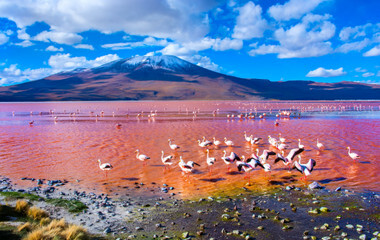 Just two hours south of that, Laguna Clorada diplays the rare natural wonder of the blood red lagoon filled with hundreds of pink flamingos. 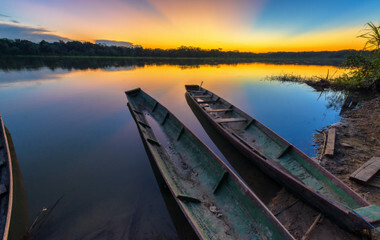 The juggles of the Amazon with all of its exotic inhabitants, the neighboring desert islands along the largest salt formation, and the high peaks of the dormant volcano all encompass just some of the variety of nature to be explored on your Bolivia tours. 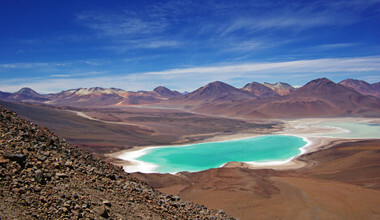 A Bolivia tour though one of the many natural wonders is sure to astonish you with the remarkable biodiversity. Animal-lovers can get face to face with snakes, spiders, monkey’s, and river dolphins. Aside from the nature, your Bolivia holiday will take you through marvelous cities such as La Pez and Sucre. These cities offer stunning architecture, interesting museums and eccentric markets. Bolivia has a mosaic of diverse citizens, ranging from varying ethnic groups and languages to the indigenous inhabitants. In fact, Bolivia is the most indigenous country on the continent, with 62% of full decent and 30% of mixed European and indigenous origins. This is reflected in the rich and colorful traditions, culture, and food that make up the country. Hundreds of parades take place throughout the year displaying these unique cultures with an array of colorful costumes and music. 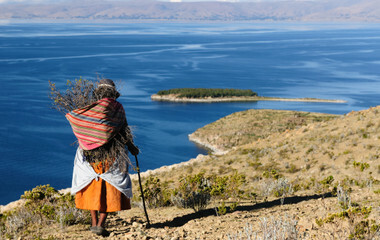 Due to the diversity of lineages, Bolivia is filled with interesting and unusual customs. Generally, they are highly family oriented and very close knit individuals often living together. Large events such as marriage, baptism and funerals place great importance on offering food. They are highly superstitious individuals. The Day of the Dead, a celebration to honor deceased ancestors, involves offering the dead food as they are said to return home on this day. Bolivia cuisine incorporates a mix Spanish and indigenous ingredients. It often includes corn, potatoes, quinoa and beans with rice and varying meats. A fancy meal along with upmarket hotels on your Bolivia vacation will cost a fraction of the price as neighboring countries. This allows you value for your money in all aspects of your Bolivia holiday package.